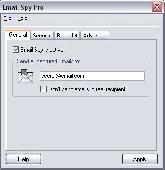 Advanced Anti Spy is powerful but easy to use anti-spy software to prohibit operation of any keyloggers currently in use or presently being developed anywhere. Once installed our anti-spy software will protect your privacy immediately and constantly. All-In-One SPY is the program that allows monitoring and recording all actions that are performed with a computer. The program runs in the stealth mode and is completely invisible on the computer. Desktop Spy 4.0 secretly takes pictures of your computer screen, records all applications loaded, web sites visited, chat conversations, E-mail activity, etc. You can take pictures of the entire screen or just of active Window and save the pictures in high quality or low quality JPEG format. Desktop Spy 4.0 has many other built-in features to save processing memory and disk space. From the creators of AceSpy, Net Spy Pro is the ultimate network monitoring and administration software suite. Monitors all activity on any TCP/IP network, and includes realtime surveillance features that let you view and control any PC on your LAN. The program allows to spy on your webcamera. It can be used for video surveillance and home security system. The program supports any video source (tv tuner or web-camera). WebCam Spy features motion detector option. Remote Desktop Spy is a computer surveillance program which can be used in the home, school or office to monitor and record every detail of PC and Internet activity. 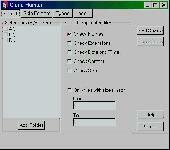 Records programs used, keystrokes typed, web sites visited, and takes screenshots.